There are some great iPhone games and fantastic Android games out there, but what if you don’t have an smartphone? Don’t worry, you don’t need to be left out. There are a lot of fantastic mobile games that you can play in your browser too! Let’s start with the biggie, the most downloaded game in the history of smartphones. 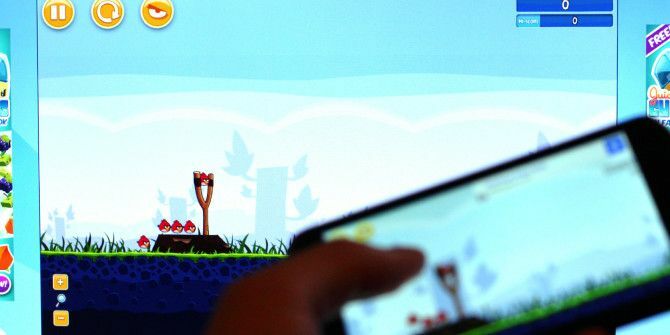 Angry Birds was launched for the web as an experiment by the Google Chrome team to show off their browser’s HTML5 engine, but it works on almost any browser with HTML5 — so that means every modern browser. Just head to chrome.angrybirds.com and you can start playing. In case it doesn’t work on your browser, download Google Chrome and it’s guaranteed to work. Psst, Justin has also shared a cheat to unlock all Angry Birds levels Play the Angry Birds Game in Your Browser Right Now, For Free Play the Angry Birds Game in Your Browser Right Now, For Free Are you too productive working on your computer? Good news! Angry Birds is now available on every computer, so you'll never actually work again. Or, at least, never be able to. That's right, the infamously... Read More so you don’t need to go through the easy first few! Candy Crush fans, meet the game that started it all! Bejeweled was the game that invented the “get three gems in a line” gameplay, and it was a hit in the world of Flash games. But it really developed a following on the smartphone with its many iterations. You can play the classic original and the second part, but why do that when you can just move on to Bejeweled 3, the finest in the franchise. There are four game modes to play: Classic, where you keep going till no moves are left; Lightning, where you collect time gems to charge up bonus rounds; Zen, which is an endless game mode; and Quest, which has 40 mini-games based on Bejeweled. 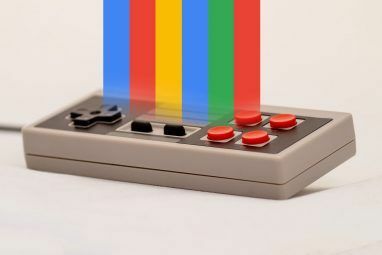 Flow Free is a favourite here at MakeUseOf, making the list in several round-ups and garnering original reviews too. Who would have thought that a simple puzzle game would end up being so addictive. But as Tina notes in her Flow Free review, this game is more than just fun Games Are More Than Fun - This Is What Flow Free Can Teach You Games Are More Than Fun - This Is What Flow Free Can Teach You Is life a game? Arguably not, but since games often resemble everyday life in many different ways, plenty of life lessons can be deducted from them. A simple and fun puzzle game called Flow Free... Read More , it teaches you problem-solving, cooperation and strategy. Connecting one colour to another of its kind across a grid seems simple enough when written that way, but when the grid is 10×10 and littered with 10 or more colours, see how easy you find it! Plants vs. Zombies is still one of the most fun things you can do on mobile Plants Vs Zombies Is Still One Of The Most Fun Things You Can Do On Mobile [iOS] Plants Vs Zombies Is Still One Of The Most Fun Things You Can Do On Mobile [iOS] The world of iOS gaming moves fast. Games come out, generate hype, and are forgotten all in a matter of a couple of days. On consoles, gamers will stick with a game longer, but with... Read More , but it’s not restricted to mobile any more! While the fantastic free-to-play sequel Plants vs. Zombies 2: Does Going Free-To-Play Mean The Death Of The Series? Plants vs. Zombies 2: Does Going Free-To-Play Mean The Death Of The Series? Since EA has taken the reigns at PopCap, Plants vs. Zombies 2 has been released for free. By free I am referring to the game being free to download initially, with plenty of in-app purchases... Read More isn’t available online, you can play the original PvZ in your browser courtesy of game developer PopCap. It’s the same gameplay, same graphics, and all the same joy you would get from the mobile version. The only thing missing are the other game modes, like Survival, but you still get the campaign mode so have fun! The new Amateur Surgeon 3 slices up your funny bone Amateur Surgeon 3 Slices Up Your Funny Bone Amateur Surgeon 3 Slices Up Your Funny Bone Video games can let you live out your fantasies. And Amateur Surgeon 3 is perfect for that, if your fantasy was to be a surgeon working for a crazy doctor with a weird sense of... Read More , but its predecessor was no slouch either. In fact, if anything, I prefer the humour of Amateur Surgeon 2, another one of Adult Swim’s games that entertain and offend 5 Games On Adult Swim To Entertain & Offend 5 Games On Adult Swim To Entertain & Offend Adult Swim is an American cable television network aimed primarily at adults with infantile senses of humor. This toilet humor with a slightly risqué edge has also found its way into the games Adult Swim... Read More . You will be playing as Alan Probe, an accidental genius surgeon, and playing a virtual game of operation that’s riddled with the weirdest cases known to man. Couple that with the funny scenes and the challenging gameplay, and you have a winner on your blood-stained hands. Much like how Google touted Angry Birds to show off its browser, Microsoft went with Cut The Rope to demonstrate the capabilities of the new Internet Explorer. But hey, it’s playable on any browser with HTML5, so you don’t need to use IE. Cut The Rope is the perfect mixture of candy, cute monsters and physics puzzles Love Candy & Cute Little Monsters? Play Cut The Rope! [Android & iOS] Love Candy & Cute Little Monsters? Play Cut The Rope! [Android & iOS] The pool of ideas for games seems to be endless, no matter how many new and exciting titles get released. Thankfully because of this endless amount of creativity, there have been many exciting titles that... Read More . To play, head to the Cut The Rope site and hit the “Give it a try” button at the bottom of the page to load the game. Ridiculous Fishing was one of the best Android games in 2013 Mobile Gaming Comes Of Age: Best Android Games In 2013 Mobile Gaming Comes Of Age: Best Android Games In 2013 Shooters, runners, arcade, racing, puzzles -- we show you the best games released in 2013 for just about every genre. Beware, addictive picks inside. Read More , but what you may not know is that developer Vlambeer first made it as an online Flash game. It doesn’t have the same refined graphics of the mobile game Ridiculous Fishing: Way More Than Just a Cloned Game [iOS] Ridiculous Fishing: Way More Than Just a Cloned Game [iOS] Ridiculous Fishing is a brilliant game, regardless of how many mistakes the developers made and how long it took to arrive on iOS. I can tell you right now it's an altogether better game than... Read More , but it’s the same gameplay and tons of fun. There is a certain calming nature to guiding your fishing line into the depths of the ocean, dodging fish, and then grabbing as many as you can on the way up. And once you hit the surface, take out your shotgun and start blasting! Some of these games require HTML5 to play, and as long as you run a modern browser, you should be fine. 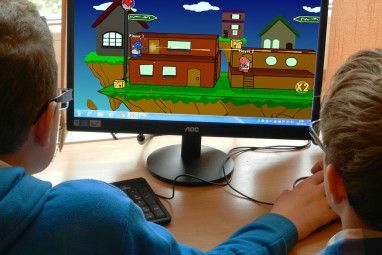 Others need Flash and it’s best to optimize performance for Flash games 4 Ways To Improve The Performance Of Flash Games 4 Ways To Improve The Performance Of Flash Games When it comes to casual gaming, Flash may be the very best platform to play on. The Flash client has one distinct advantage over alternatives, and that's the fact that it can be played within... Read More . 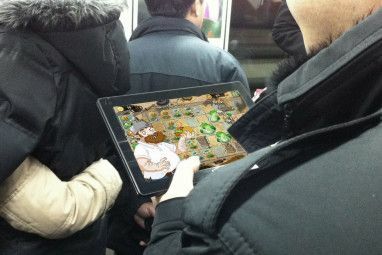 But the bigger question is, do you prefer to play browser games or mobile, and why? Why would anyone want to play simplistic, crude games in their browser?! Why don't we go back to Pong and Space Invaders.